On this page you will find all the information for the 2005 Kentucky Wildcats. Included is a preview of the team, some information about the school, and the 2005 Kentucky Wildcats Football Schedule. If you are going to be betting on NCAA football this year be sure to check out our College football picks we do offer. When it comes to football betting maddux sports has you one step ahead of the bookmaker. There is not a great deal for Kentucky fans to look forward to in 2005, as this should be another losing season. Still feeling the effects of probation, the Wildcats only return 13 starters which won't aid the probation problems. There is some young talent there but most of it is undersized and inexperienced. It wouldn't surprise us to see Kentucky go winless in the SEC, as the only winnable games we see are Mississippi St. at home or at Vandy later in the season. Even if they pull out a surprise game a long the way, it looks like it will be the third successive losing season for the Cats. Here are the individual team previews for each school in the SEC conference. If you click on the team links you can find the 2005 info for each school. To return to the main 2005 preview page you may click here at anytime. 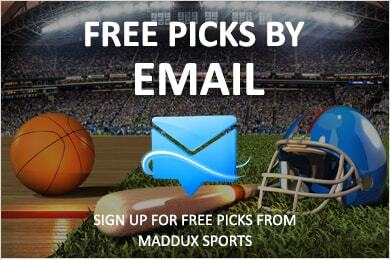 Return to Maddux's Football Game Picks home page!